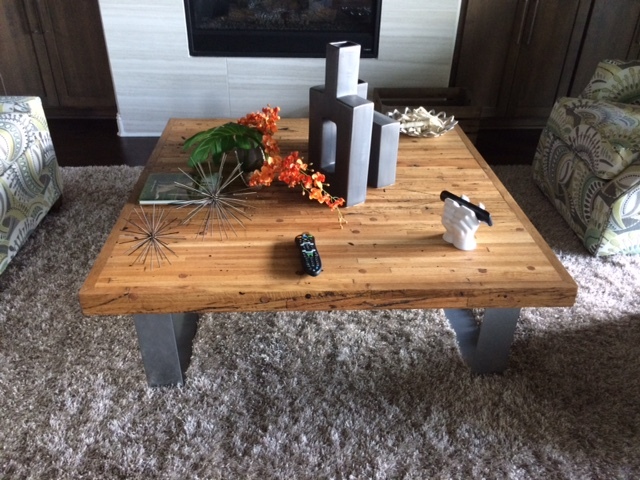 Our Boxcar wood is reclaimed wood furniture floor planks from retired railway boxcars, built in the 1920’s and 1930’s. This rustic wood has traveled the rails of America for decades and wears the story of its life on its surface. It has a rich color with beautiful character marks, as well as natural distressing that many attempt to replicate. 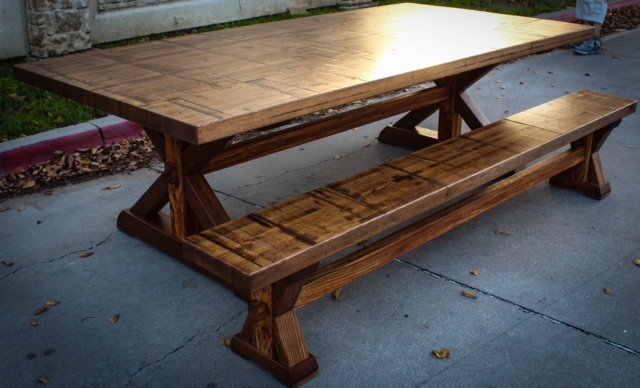 The planks are formed in a butcher block style which makes the wood stable and prevents bowing and cupping. 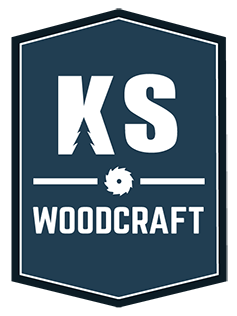 This wood is very versatile and in rare supply which is what makes it so special! 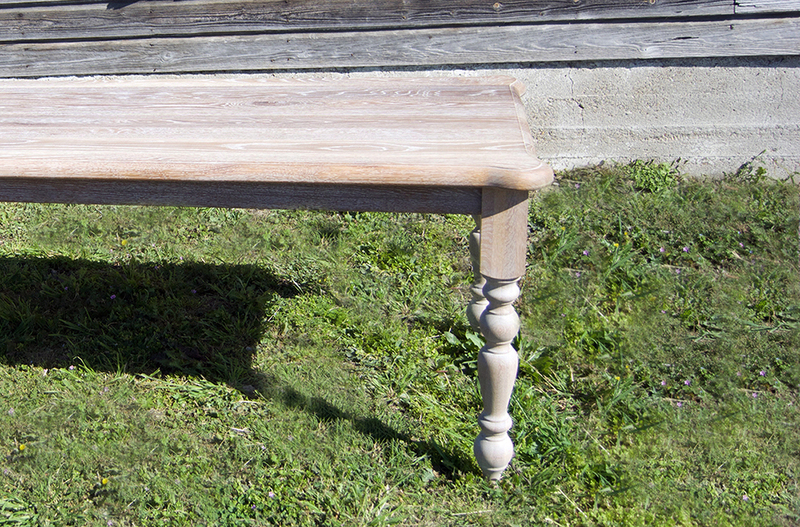 We sell many of these tables and it is such a pleasure for us to build. 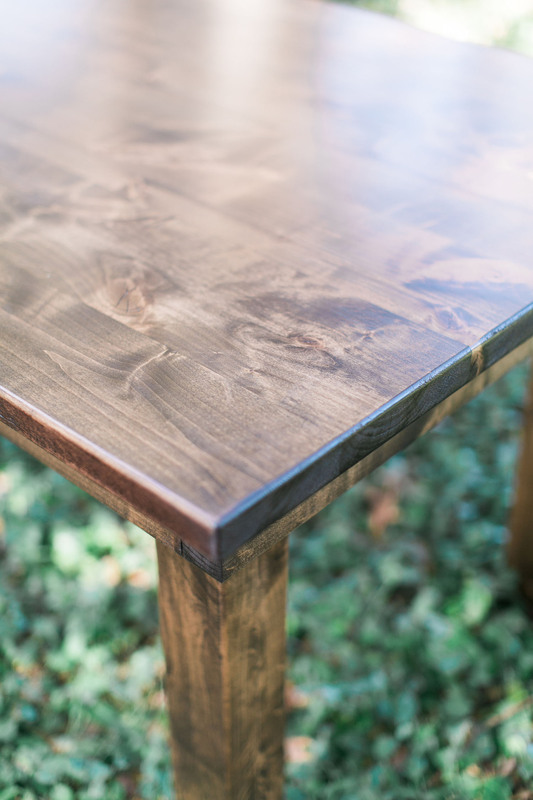 Our Reclaimed Oak is century-old hardwood. It has carriage bolt holes from its previous life, but don’t worry, we fill them with dowels to ensure a nice flat surface. 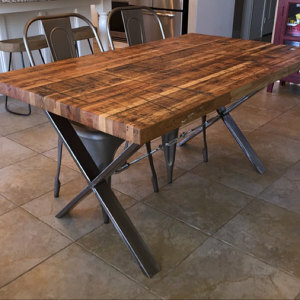 The beauty of this reclaimed wood furniture is that we can refine to wood to look as dirty or as clean as you would like! This wood was pulled from various structures throughout the American East and Midwest. 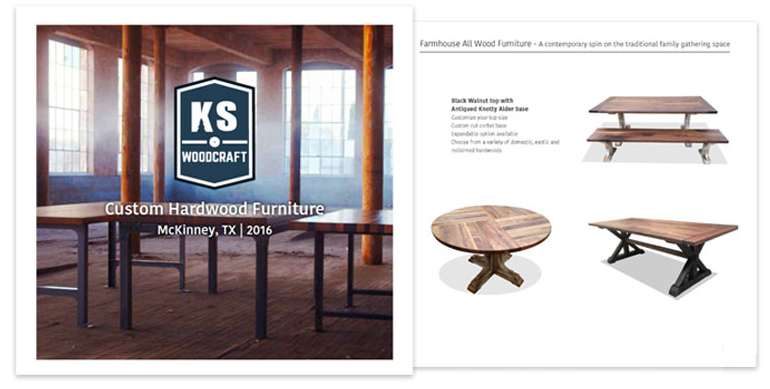 Our brochure showcases many of the custom tables we've build! Go ahead and download now!. 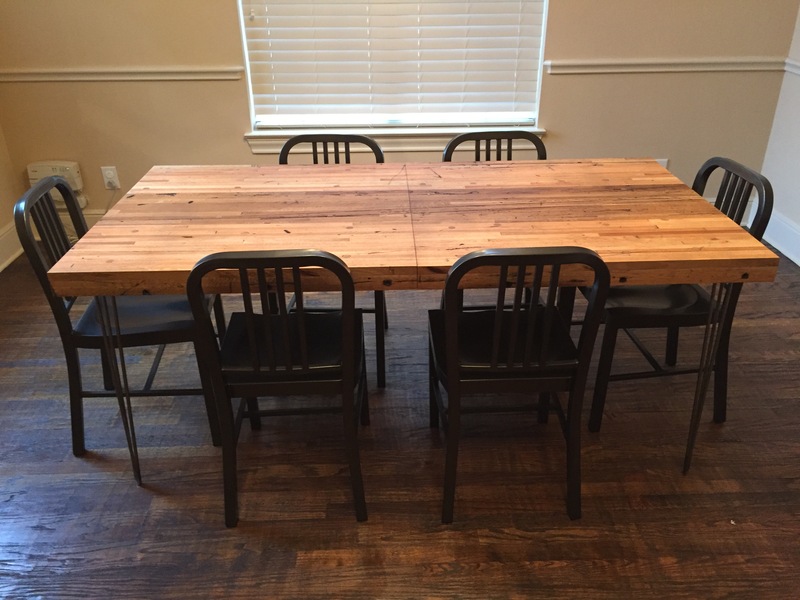 Interested in a Farmhouse table? Interested in learning how we can outfit your office? Because who doesn't love Trestle? Is a modern design more your style? 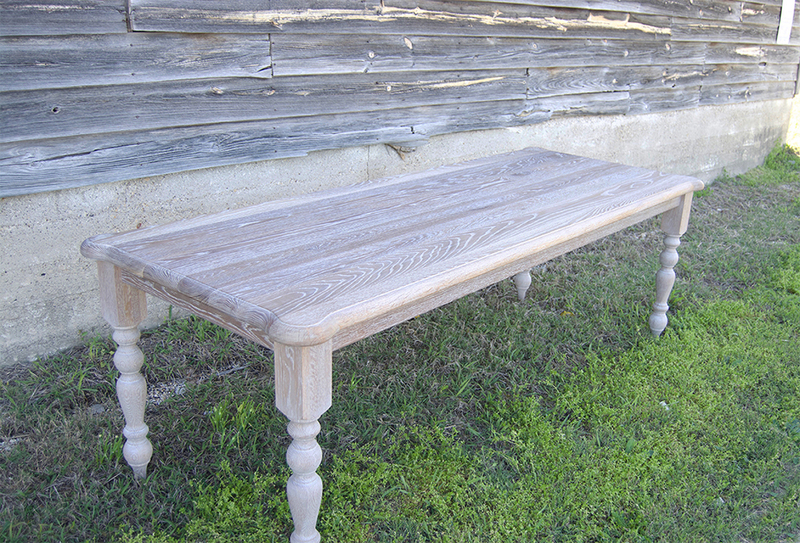 Want a piece of McKinney history in your home? Build a piece of history for your home!